How much is Richard Sakai Worth? Richard Sakai net worth: Richard Sakai is an American film and television producer who has a net worth of $50 million dollars. Richard Sakai was born in San Francisco, California in January 1954. He is one of the original producers of the TV series The Simpsons which began in 1989. Sakai was a producer for the series Taxi from 1979 to 1983 and the television series The Tracey Ullman Show from 1987 to 1990. He produced the TV series Phenom from 1993 to 1994 and the series The Critic from 1994 to 1995. Richard Sakai has also produced the movies Bottle Rocket, Jerry Maguire, As Good as It Gets, Riding in Cars with Boys, Spanglish, The Simpsons Movie, How Do You Know, and The Edge of Seventeen. 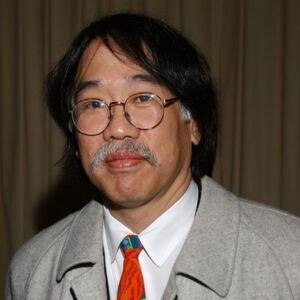 Sakai also directed episodes of the TV series Taxi, Who's the Boss, and Newhart. He has won more than 10 Primetime Emmy Awards for The Simpsons and was nominated for an Academy Award in 1997 for Best Picture for Jerry Maguire.